Nothing is better than a book – except maybe a cycling book. And here’s one now! 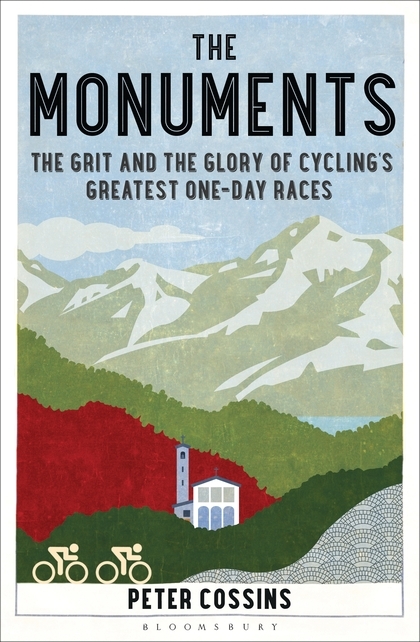 The Monuments by Peter Cossins details the history of the five hardest one-day races in the cycling calendar – Milan–Sanremo, the Tour of Flanders, Paris­–Roubaix, Liège–Bastogne–Liège and the Tour of Lombardy. Tales of derring-do abound! Fancy an extract – why here’s one now! Published by Bloomsbury, paperback RRP £12.99; order it from the publisher’s website and get a 10% discount. Available at all quality bookshops!